The temptation to do a Top Ten of the year list is great, but it is easily outweighed by my certain knowledge that I am unable to draw up a satisfactory version: many of 2011’s best films have not yet received a release here, and I am still catching up on a couple. All that is left for me to do is list of some my best and worst moments in my cinematic year in 2011. Funniest Film: It is distressing for me to note, when I look back at the films I have watched this calendar year, that very few of those films were comedies. It appears that I am, as my nearest and dearest frequently remark, too serious. Nevertheless, there have been a few and some of them have been brilliant. Midnight in Paris was wonderful, and The Descendants was hysterical when it needed to be, but in terms of sheer gag count, you need look no further than The Guard, John Michael McDonagh’s witty, foul-mouthed and subversive Irish cop film, which possesses one of the most overlooked performances of the year from Brendan Gleeson. Saddest Film: Never Let Me Go received mixed reviews upon its release and was an awards season flop, but I thought it was fantastic, and dreadfully sad. It is a credit to the strength of Carey Mulligan and Andrew Garfield (and, yes, even Keira Knightley) that it was so affecting. This film was genuinely romantic and heartbreaking. Twist of the Year: The Skin I Live In. If you’ve seen it, you’ll know what I’m talking about. If you haven’t, watch it. Blockbuster of the Year: As ever, there were some awful efforts (Transformers: Dark of the Moon is certainly a contender for worst film of the year), but there were some really good ones. Rise of the Planet of the Apes resurrected an ailing franchise with panache and flair, and later in the year The Adventures of Tintin: TheSecret of the Unicorn launched a new one in Indiana Jones-esque style. However, I find myself torn between Super 8, a fine piece of touching and entertaining Spielbergia directed by J.J. Abrams, and the climax to one of the all-time great franchises. In the end, through sentimentality more than anything else really, I have gone for Harry Potter and the Deathly Hallows Part 2, which was the best of the series, bringing spectacle, catharsis and the end of an era. Most Overrated Film of the Year: Doug Trumble special effects aside, The Tree of Life was a distinctly patchy affair. Boring, over long, it benefited from fine acting, but that simply wasn’t enough to combat the nonsensical air of it all. I remain baffled by how it was embraced so warmly by so many critics. Worst Film of the Year: Well, I really want to say Anonymous, because of its ridiculous plot, sanctimonious publicity campaign and sheer, DVT-inducing boredom. However, I can’t get away from Transformers: Dark of the Moon. “But what do you expect from Michael Bay?” the film’s defenders cry. That’s not a defence: the film’s attitude towards women was unforgiveable, and its attitude towards the sense of hearing was barbaric. You’ll have to do better than say “It’s only Michael Bay” in order to salvage anything positive from this film, and all of this is not to mention that it was overlong, boring and utterly unengaging. In a word, dreadful. Surprise of the Year: Senna was a magnificent film. A documentary with a clear narrative about rivalry, lust for victory and death, it served to bring one of the world’s greatest sportsmen back to life, whilst showing his inherent duality. It didn’t ask you to love Ayrton Senna, but only to engage with him, and the result was a fascinating portrait of a man and his exhilarating career. Technical Achievement of the Year: Hugo (Howard Shore) and Tinker Tailor Soldier Spy (Alberto Iglesias) were beautifully scored, not to mention beautifully shot (Robert Richardson and Hoyte van Hoytema respectively). Hugo and Harry Potter exhibited some of the year’s finest visual effects, whilst The Tree of Life, with the assistance of Doug Trumble, did produce some stunning effects via old school methods. Nevertheless, the most extraordinary achievement this year is, unquestionably, that WETA Digital made us believe in the apes who were rising. There has been no finer technical achievement than Caesar and co in Rise of the Planet of the Apes. Script of the Year: I mention this because there is only one film which has moved me to laughter and tears in equal measure. It is a truly great work: my second favourite of the year and when it is released early in the new year it deserves to be embraced. It is Alexander Payne’s adaptation of The Descendants – a brilliantly acted, touching and hilarious work. Actor of the Year: Many contenders here, after a year of magnificent individual performances by film actors: George Clooney in The Descendants; Gary Oldman in Tinker Tailor Soldier Spy; Hugh Grant at The Leveson Inquiry. However, it has also been a year for actors who have delivered time and time again. Michael Fassbender has attracted a lot of deserved praise for his work, and I am really looking forward to Shame. Tom Hardy has been very effective in a number of films and will reach mega-stardom as Bane in next year’s The Dark Knight Rises. I would also like to mention Simon Russell Beale in The Deep Blue Sea – a fantastic, near-perfect performance. However, the actor of the year is a man who has finally received the sort of work that his talent deserves. 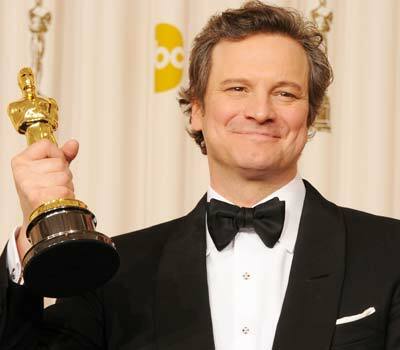 Colin Firth’s performance in The King’s Speech was worth every ounce of the awards recognition it got, and his subtle supporting performance in Tinker Tailor Soldier Spy once again showed his range. Actress of the Year: It’s probably Meryl Streep in The Iron Lady, but I haven’t yet been able to see it. It should also be noted that, much as female directors are far too few and far between, the same can be said of good roles for women. Nevertheless, there is much to recognise. Evan Rachel Wood bloody nearly stole the engrossing but underwhelming The Ides of March. Carey Mulligan was wonderful in Drive and Never Let Me Go. One of the most subtle and affecting performances was from Olivia Colman in the brutal and distressing Tyrannosaur, whilst for sheer grand-standing flair, you need look no further than Vanessa Redgrave in Coriolanus, and you cannot ignore the delicate performance of Tilda Swinton in the disturbing We Need to Talk About Kevin. However, it seems that this year the Oscars got it right, as there has been no more enthralling female performance this year than Natalie Portman in the brilliant and disturbing Black Swan. Director of the Year: Alexander Payne’s effort on The Descendants confirms his place as a modern master, whilst Tomas Alfredson’s work on Tinker Tailor Soldier Spy showed off quite breathtaking precision. Mention should also be made of David Yates’ execution of the mammoth task of handling the final instalment of the Harry Potter saga. However, no director has impressed me more than Lynne Ramsay and her work on We Need to Talk About Kevin, which was a film made with confidence in its audience’s intelligence, but also the confidence to take on troubling subject matter. Added to that, there were little details which made the film all the more terrifying (focussing on Kevin’s mouth as it salivates over a snack has stuck with me), a visual style and use of colour which emblazoned the film onto the mind’s eye and the perfectly composed tempo of the film. The result was disturbing but amazing. Film of the Year: Hopefully, my favourites have become very well apparent. Of the films I’ve seen, the ones which are particularly worthy of note include Danny Boyle’s brutal 127 Hours, Drive, Black Swan, Super 8, Harry Potter and the Deathly Hallows Part 2, We Need to Talk About Kevin, The King’s Speech, Senna and, of course, The Descendants. However, the best film I saw year was the meticulously detailed, utterly engrossing and simply thrilling Tinker Tailor Soldier Spy, which simply doesn’t put a foot wrong. For some, it is not clear enough. For others, it is simply rather dull. I think that it deals with a complex narrative well and subtly creates a compelling atmosphere, and tells a superb story. The finest British film for many years, all made with European arthouse flair.